When someone comes in you want to track information about, most users will create an actual “Opportunity” and capture their information to track progress. 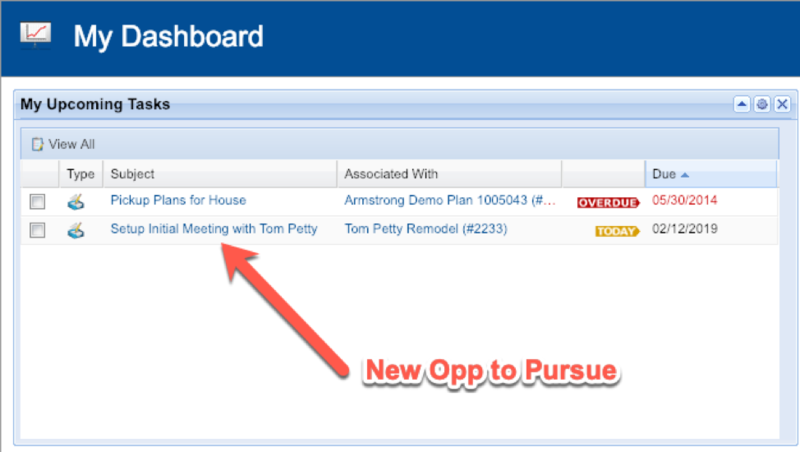 To do this, create a new Lead AND Opportunity (go straight to create Opportunity and create Lead info at same time) and fill in all known information about them. 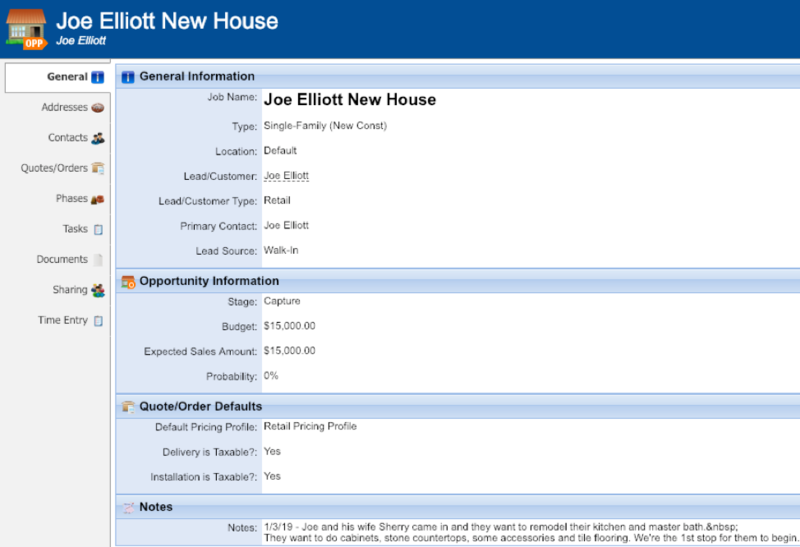 Use the “Notes” field to put more details in the Opportunity. 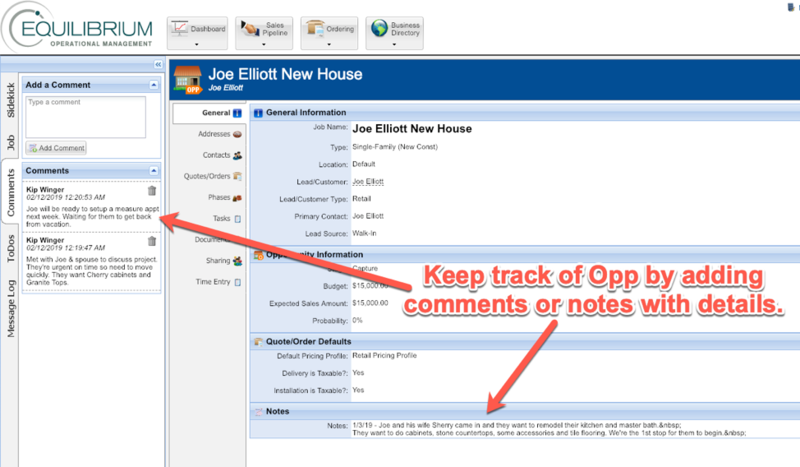 You can attach “Greet Sheets” or other gathered information about the Opportunity on the Documents tab . Once you have an “Opportunity”, you can assign it to another person if you’re giving it to them to pursue. You can “notify” someone by creating a task in the Opportunity and assign it to them to pursue it. 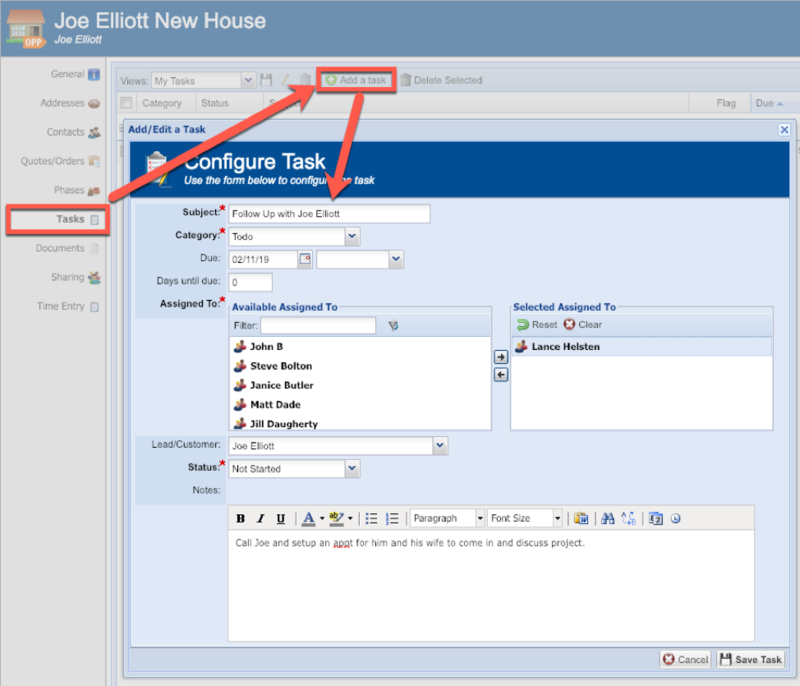 If you give the Task a due date it will show due (or overdue) on the person’s dashboard when it’s due. 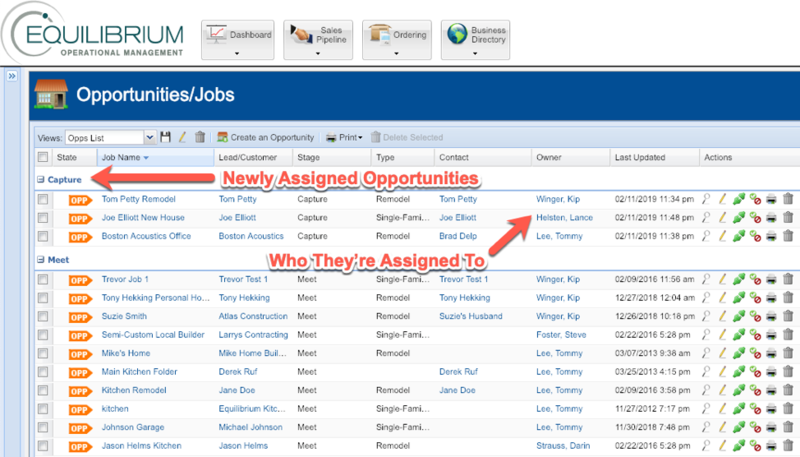 You can see and track the status and progress of the Opportunity in the Opportunity List. You can keep comments and notes about anything that happens with the Opp inside of it. Use “Notes” or “Comments” to document the details.